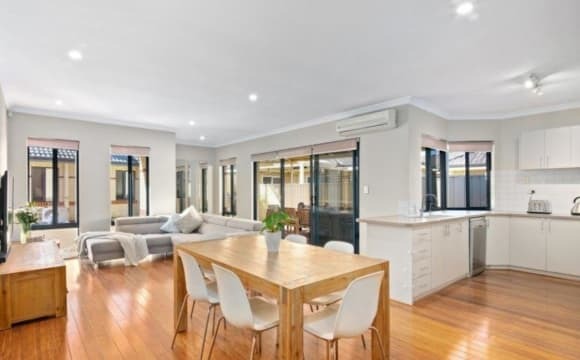 50 meters to Manning road with bus stops to Curtin Uni, Waterford Plaza, Karawara Shopping Centre, Bentley shopping Centre, Westfield Carousel and the CBD. NBN service included. House is very spacious with a decent size backyard. Roller shutter is also available. Full time worker or student are welcome. Must See ..., the property is Quite , Safe, secure , Aircon- Heater, fully furnished . You only shared with 1 other , you must be lucky to share with this kind hearted gentleman . The house is really clean and tidy all the time! 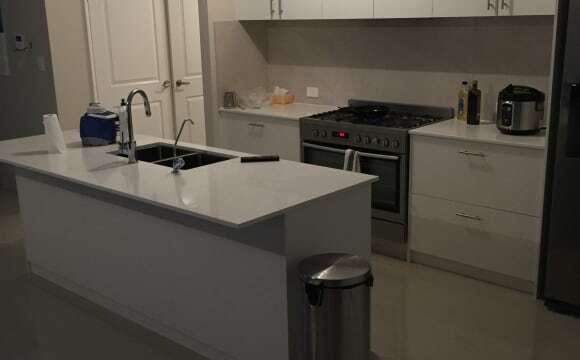 Kitchen and fridge are big enough to storage your food and personal cooking stuffs. A TV pad which can watch many movies, drama and shows for free! Unlimited and speedy Wifi. We keep our voice down during the late night. It's good for study and sleep! AVAILABLE MAY 10 Fully furnished, large bedroom with private ensuite bathroom, in modern home! Perfect for a couple or a single who likes plenty of space! $235 Single. $265 Couple. ALL BILLS INCLUDED. FREE WIFI and FREE common utilities such as bin liners, dish cloths and washing up liquid. Cleaner is included in rent (comes fortnightly). Own bedroom with private ensuite bathroom and large walk-in wardrobe. 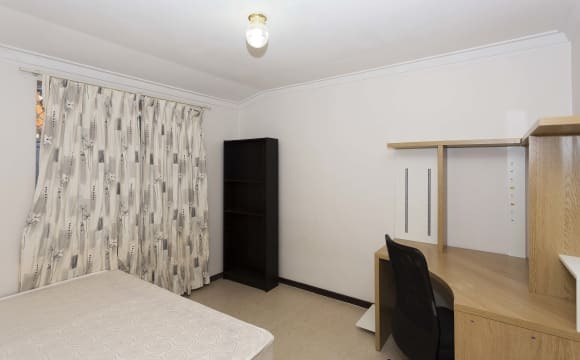 All rooms have lockable doors, are fully furnished including study desk and chair, air conditioning throughout and clean and spacious communal areas. GARAGE AVAILABLE FOR RENT ($10/week)- comes with remote control access. Where will you be? Location! Location! 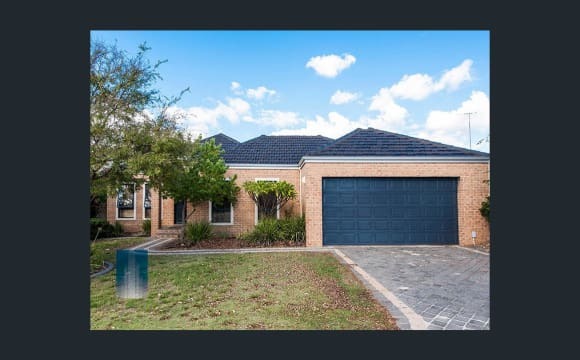 Approximately: - 4 mins drive to Curtin University (or cycle in just 9 minutes) - 9 mins to Westfield Shopping Centre &amp; Cinema - Cannington - 13 mins drive to Perth Airport - 18 mins drive to Perth CBD The House? 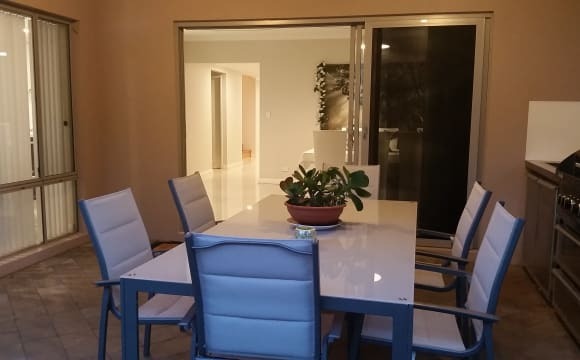 5 Bedrooms, 4 Bathrooms Lease Terms 6 month + Bond - 2 weeks plus 2 weeks rent in advance Perfect if you enjoy the Share House experience in a modern, comfortable home. Please note: anyone under the age of 18 years is not able to live in this share house. 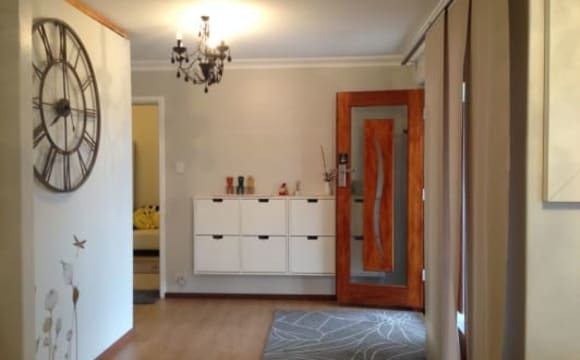 🔥🔥🔥 EASTER OFFER: 1st Week Free Rent if you sign up and move in within 7 days 🔥🔥🔥 SINGLE OCCUPANCY ONLY Fully furnished bedroom with private ensuite bathroom, in modern home! ALL BILLS INCLUDED. FREE WIFI and FREE common utilities such as bin liners, dish cloths and washing up liquid. Cleaner is included in rent (comes fortnightly). Own bedroom with private ensuite bathroom. 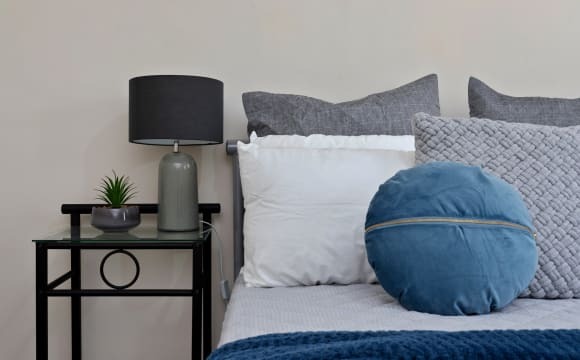 All rooms have lockable doors, are fully furnished including study desk and chair, air conditioning throughout and clean and spacious communal areas. Where will you be? Location! Location! 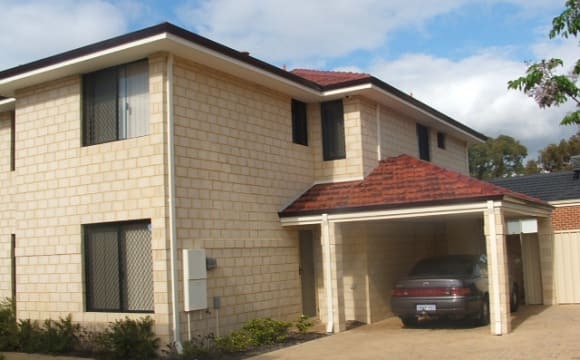 Approximately: - 4 mins drive to Curtin University (or cycle in just 9 minutes) - 9 mins to Westfield Shopping Centre &amp; Cinema - Cannington - 13 mins drive to Perth Airport - 18 mins drive to Perth CBD The House? 5 Bedrooms, 4 Bathrooms Lease Terms 6 month + Bond - 2 weeks plus 2 weeks rent in advance Available now - arrange a viewing today! Perfect if you enjoy the Share House experience in a modern, comfortable home. Please note: anyone under the age of 18 years is not able to live in this share house. Fully furnished, large bedroom with private bathroom, in modern home! Perfect for a couple or a single who likes plenty of space! $235 single/$265 double ALL BILLS INCLUDED. FREE WIFI and FREE common utilities such as bin liners, dish cloths and washing up liquid. Cleaner is included in rent (comes fortnightly). Own bedroom with private bathroom. All rooms have lockable doors, are fully furnished including study desk and chair, air conditioning throughout and clean and spacious communal areas. Where will you be? Location! Location! 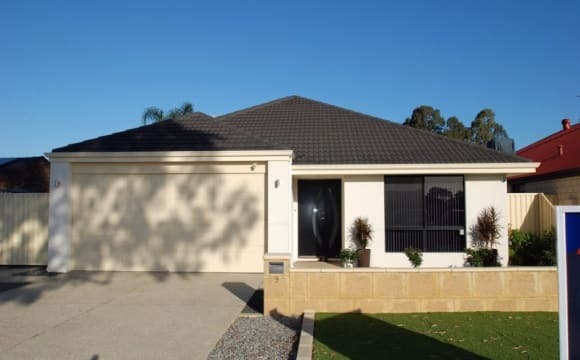 Approximately: - 4 mins drive to Curtin University (or cycle in just 9 minutes) - 9 mins to Westfield Shopping Centre &amp; Cinema - Cannington - 13 mins drive to Perth Airport - 18 mins drive to Perth CBD The House? 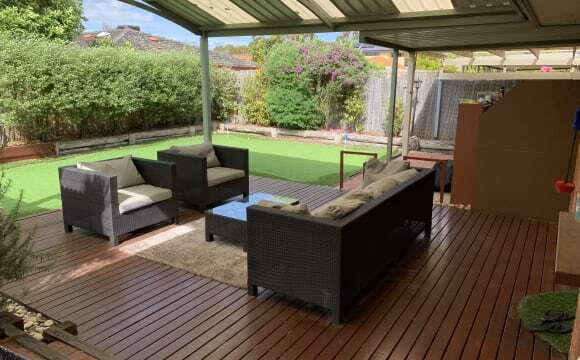 5 Bedrooms, 4 Bathrooms Lease Terms 6 month + Bond - 2 weeks plus 2 weeks rent in advance Perfect if you enjoy the Share House experience in a modern, comfortable home. Please note: anyone under the age of 18 years is not able to live in this share house. 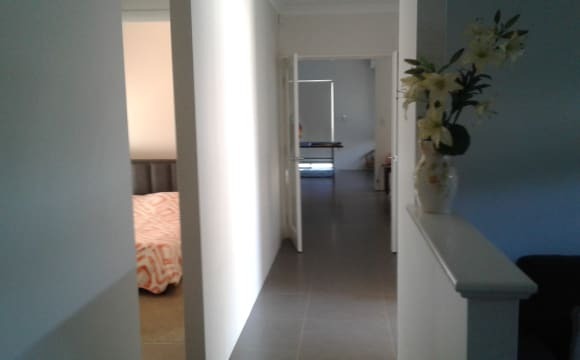 WILSON LARGE FURNISHED FOUR BED HOME NEAR CURTIN &amp; BENTLEY TAFE PROFESSIONALS STUDENTS &amp; SINGLE MUMS WELCOME LARGE FURNISHED SINGLE ROOMS WITH WALK IN ROBES. SAFE SECURE HOME WITH WIFI SUITABLE FOR STUDENTS ACCESS TO BUS ROUTES 74, 75, 34, 100, 177 OR WITHIN WALKING DISTANCE TO CURTAIN OR BENTLEY TAFE QUIET LOCATION IN NICE STREET WALK TO THE SUPERMARKET FULLY FURNISHED HOME WITH WASHING MACHINE LOCK UP DOUBLE GARAGE AUTO RETICULATION The home and rooms come fully furnished with large walk in robes, beds, desks, draws and a master bedroom with semi ensuite. 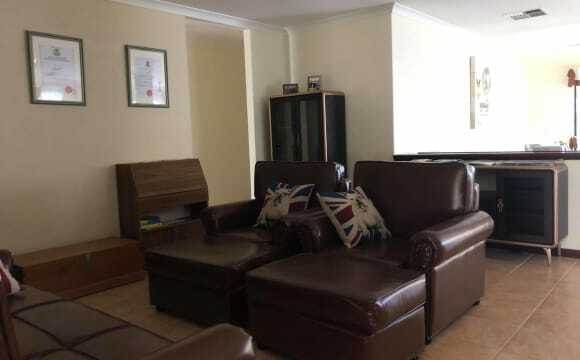 Fantastic central location and close to public transport, just a short walk to the bus stop. 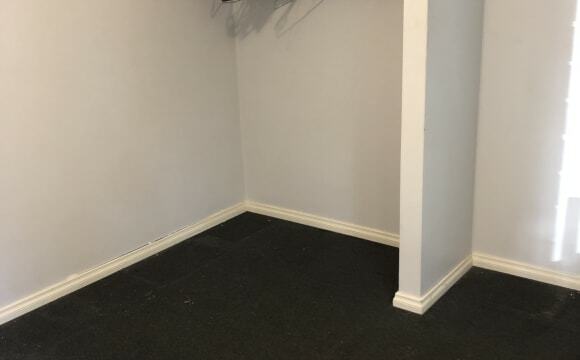 It is also very close to Carousel shopping center, Waterford Plaza shopping center, many restaurants and cafes THE RENT SINGLE ROOMS FROM $155 PLUS BILLS AND WIFI (conditions apply) MASTER BEDROOM $225 FOR TWO PEOPLE PLUS BILLS AND WIFI (conditions apply) Cleaner provided on a fortnightly basis. Conditions apply A minimum of 6 months stay and you will require 4 weeks bond and 2 weeks rent in advance. 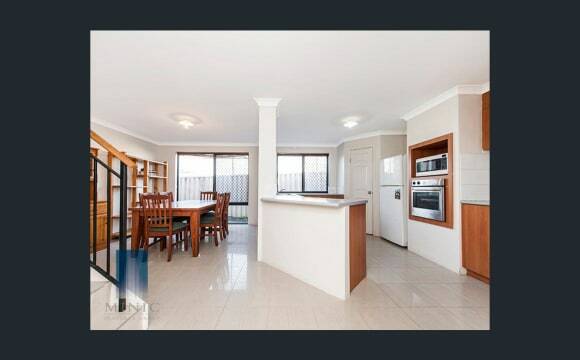 Please contact us o to organise a viewing PERTH ROOM RENTALS: WE HAVE THE BEST ACCOMMODATION IN PERTH AND WE OWN ALL OUR PROPERTIES. WE HAVE A LOT OF OTHER HOMES IN DIFFERENT LOCATIONS SO PLEASE CALL US FOR MORE INFORMATION. Netflix, air-conditioned, close to river for walks or runs, pubs close by, $20 uber to the city, personal space. 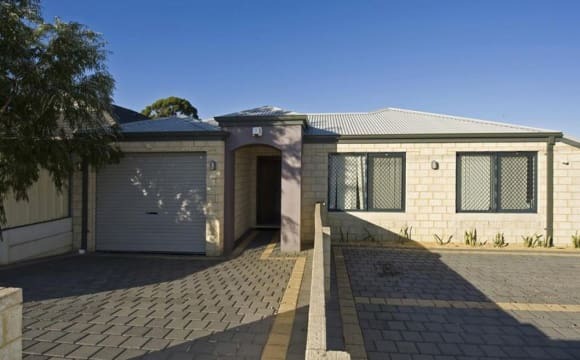 This Home is well-established within a safe community and is located in an extremely convenient location with bus # 75, 179 and 509 right at your door step (literally 15 seconds walk to the bus-stop) It only takes approximately 15 minutes by bus to Curtin University, 20 minutes to Carousel Shopping Centre and 30 minutes to Perth City. The advertised room is a granny-flat style, detached from the main house. (refer to photos); *note* it is still a shared bathroom as the bathroom is in the main house. The room is furnished with 2 long study desk, study chair, bed-frame, mattress, pillow &amp; comforter etc. (you are welcome to bring your own or request for anything additional :- as long as it is within reasonable means). There is also a master-bedroom with your own private bathroom &amp; toilet available. The home is fully furnished with all the necessities :- cooking utensils, cleaning equipment. This includes an indoor BBQ, outdoor spa, Netflix, mini-golf area and unlimited-NBN wifi. There is a coffee machine with a monthly subscription of 150 pods in which you are welcome to help yourself (within reasonable consumption of course) We practice the golden rule of cleaning up after yourself to ensure a pleasant stay for everyone. This is not a party house and will suit you if you are after a quiet, friendly, safe and convenient home to live in. Rent includes utilities (water, gas, electricity and internet) and an off-street parking is available if you have a car. 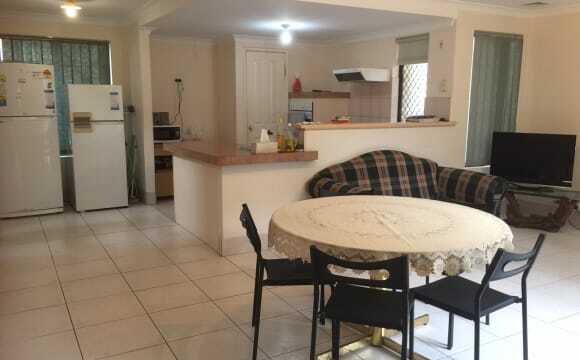 WILSON LARGE AIR-CON FURNISHED FOUR BED HOME NEAR CURTIN &amp; BENTLEY TAFE LARGE FURNISHED SINGLE ROOMS WITH WALK IN ROBES. SAFE SECURE HOME WITH WIFI SUITABLE FOR STUDENTS ACCESS TO BUS ROUTES 74, 75, 34, 100, 177 OR WITHIN WALKING DISTANCE TO CURTAIN OR BENTLEY TAFE QUIET LOCATION IN NICE STREET WALK TO THE SUPERMARKET FULLY FURNISHED HOME WITH WASHING MACHINE LOCK UP DOUBLE GARAGE AUTO RETICULATION The home and rooms come fully furnished with large walk in robes, beds, desks, draws and a massive master bedroom with ensuite. 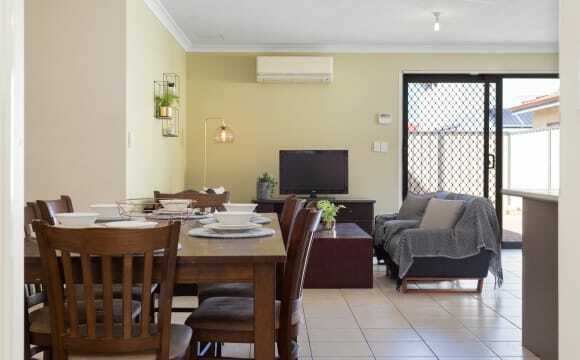 Fantastic central location and close to public transport, just a short walk to the bus stop. It is also very close to Carousel shopping center, Waterford Plaza shopping center, many restaurants and cafe's. 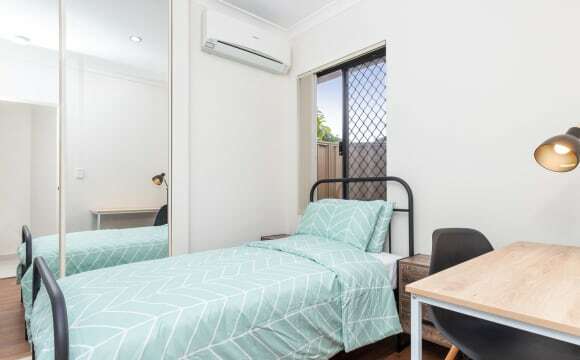 THE RENT SINGLE ROOMS FROM $125 PLUS BILLS AND WIFI (conditions apply) MASTER BEDROOM $225 FOR TWO PEOPLE PLUS BILLS AND WIFI (conditions apply) Cleaner provide on a fortnightly basis. Conditions apply A minimum of 6 months stay and you will require 4 weeks bond and 2 weeks rent in advance. Please contact us to organise a viewing PERTH ROOM RENTALS: WE HAVE THE BEST ACCOMMODATION IN PERTH AND WE OWN ALL OUR PROPERTIES. WE HAVE A LOT OF OTHER HOMES IN DIFFERENT LOCATIONS SO PLEASE CALL US FOR MORE INFORMATION. One great room available now! One fully furnished bedroom available for rent in a new house built in Jan 2016 in Riverton. 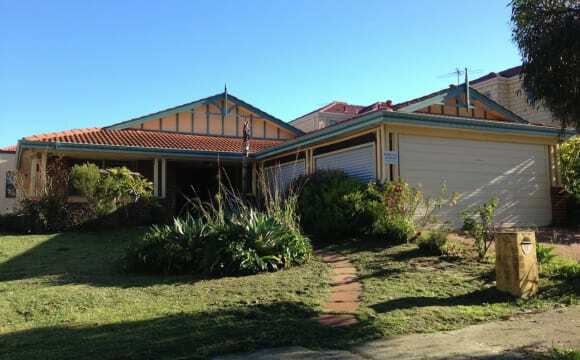 Close to transport/bus stop - 5 to 10 minutes to Curtin University &amp; Bull Creek train station. Also close to Murdoch University. Large house (250sqm) with fully equipped kitchen (900mm cooktop, oven &amp; rangehood, pantry), spacious living, dining and games area. House is fully furnished with TV, sofa, fridges, microwave, washing machine, dining table and air conditioning. Immaculately clean and modern bathroom with 2 toilets. 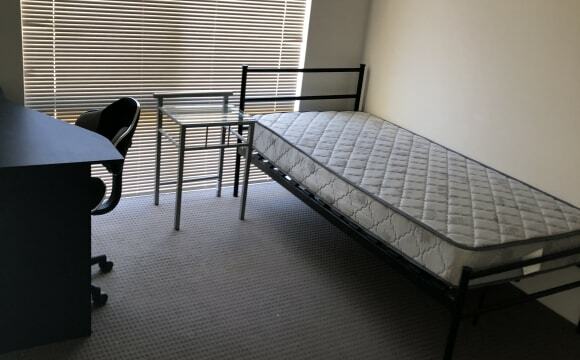 Good sized room suitable for students and working professionals. 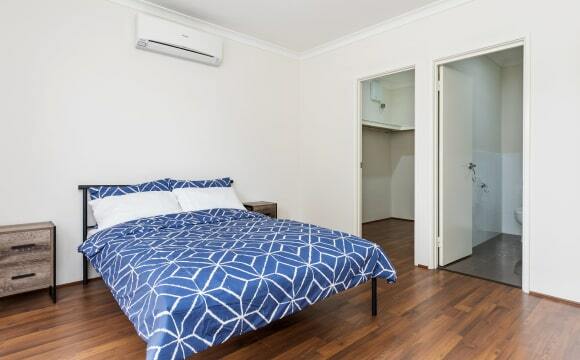 Room rents at $170/wk per person (inclusive of all utilities bills &amp; Internet, NBN). Secured garage parking is available. Looking for tidy, clean and responsible tenant. This is NOT a party house. Arrange for a viewing NOW to avoid disappointment. Thanks. Easy access to Riverton Leisureplex, Riverton Library, Stockland Riverton, Riverton IGA, Coles and Woolsworth. Close to Fiona Stanley Hospital and St John of God Murdoch Hospital. 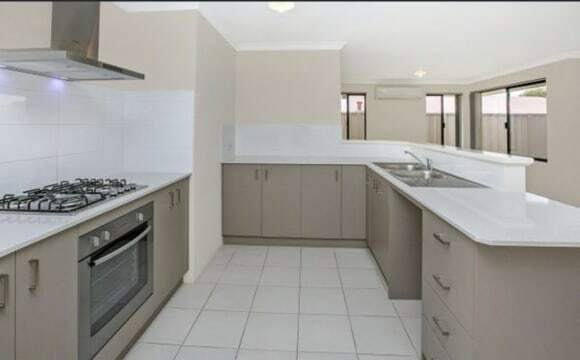 Brand new home close to Curtin University, the airport, carousel shopping centre and only 15 minutes from the CBD. Air conditioning in every room and unlimited NBN available. Bills are included. Some furnishing is available. 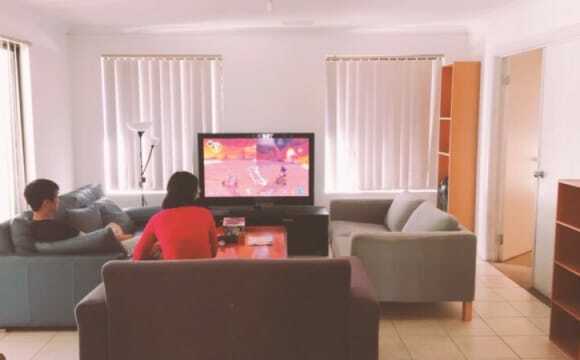 The house is quiet and tidy, perfect for students and FIFO as well. Villa is modern as it was only built in 2008. 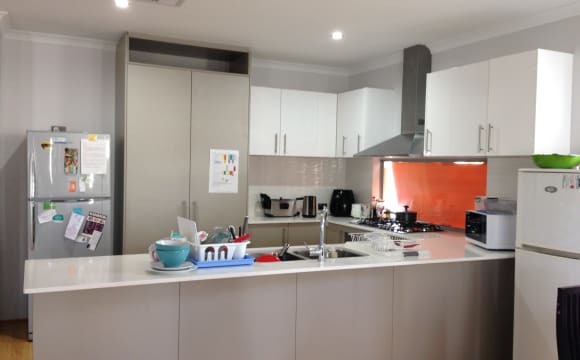 Fantastic location: Only 3 minute drive to Curtin University, 10 minute drive to Perth CBD and 5 minute drive to the huge Carousel Shopping Center. 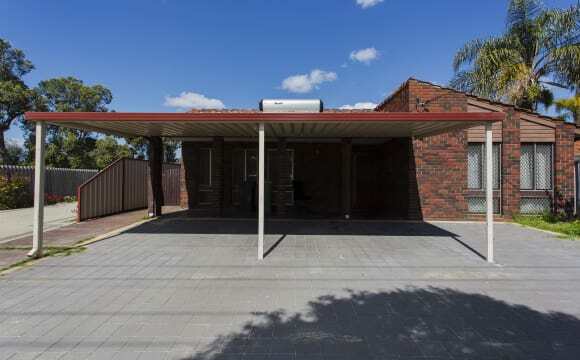 Very close to public transport: 2 minute walk to a bus stop which will take you straight to Curtin University or Perth CBD. Also, only a short distance to Welshpool train station and the train will get you to Perth CBD in 10 minutes. Close to shops: Bentley Plaza Shopping Center is walking distance away (at the end of the street), Carousel Shopping Center is a 5 minute drive away. You will have one car-parking spot in the fully-enclosed lock-up garage. There will only be 2 people living in the house. Yourself and the owner who lives in the main bedroom. Full evaporative air-conditioning and bedrooms have ceiling fans. Unlimited wi-fi internet. Clean and tidy by people willing to accommodate. Free bus to Curtin University. Supermarket and shops are nearby. Fast speed NBN internet, air conditioner, washing machine. Kitchen with microwave, oven, gas stove and 2 fridges. Security doors and windows, individual lock for each room.. Covered garage parking with remote control. It's just walking distance (approx. 10-15 mins walking time) to Curtin University and Curtin International College (CIC). There's currently 5 rooms taken, with housemates from a variety of cultures. The rate is negotiable, esp. if you sign on a longer term contract. We have 2 Car parking space at the front shared with another property, and to top it off, there's Superfast Unlimited 100 Mbps NBN subscription included in the rent! house in cygina cove waterford new estate great location very quite and great for walks relaxed atmopsphire. Standard room with single bed is provided and study table in the room. If you have your own furniture to bring along, I am happy to go along with your personal arrangement and have them moved out. Facility includes washing machine, dryer and pool table. Professional cleaner ensure the house cleaned thoroughly every 8 weeks. 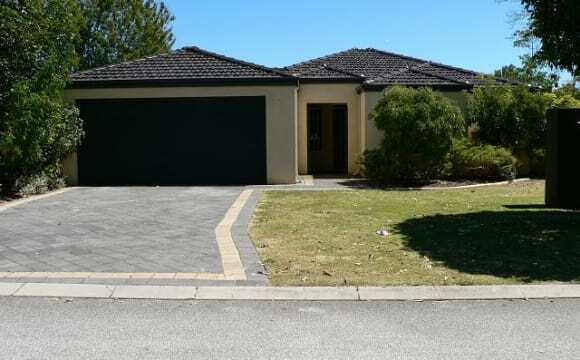 Close to the city and most places in Perth! Hi just moved into this brand new house in Lynwood Its very close to Transport and Carousel shopping centre and 5 min walk to the local Lynwood shops the river is also very close.Features air con a double lock up garage and wardrobes.All I require from you is to pay rent on time and tidy up after yourselves.Bills Wi-Fi with fetch box are now included in the rent.